We just received our new shipment of JR Drift Trikes products! The new Wide Boy front-ends are about as dialed as you can get. Coming equipped with a machined 1:1 aluminum race hub made from the finest materials, disc brake mount, high grade aluminum crank arms, and of course chromoly forks. Pedals are always necessary. The 1:1 pedal hub allows you to get moving from a dead stop up to 10 or some MPH. With the fork being a dead center offset, you will have maximum control with keeping your drift locked in 90 degrees. Lets take a better look at the quality of the P-Hub. 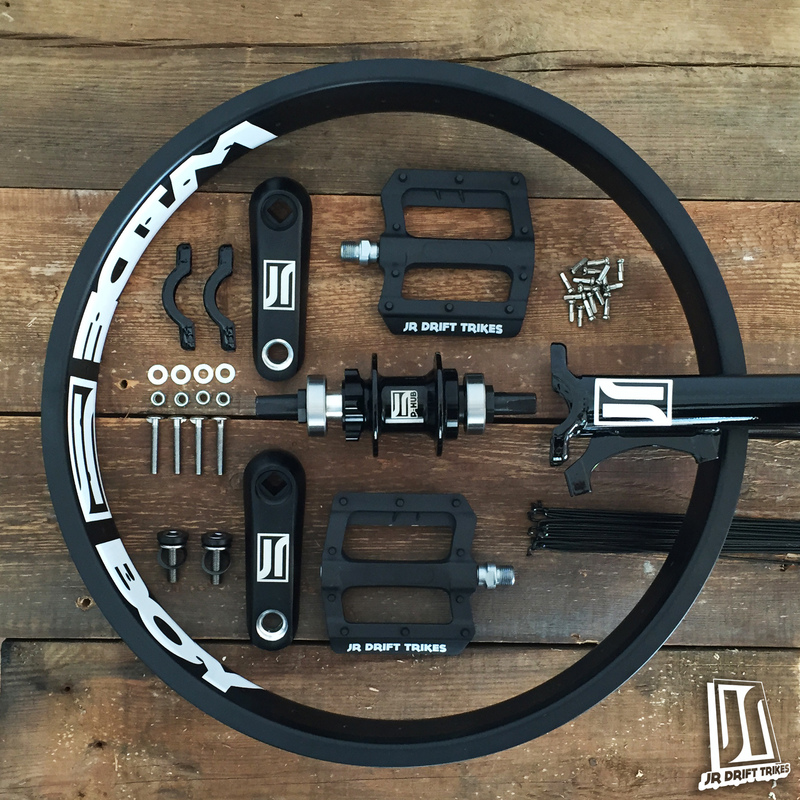 There is a disc mount equipped, pressed bearings, outer bearings, 36 hole, and tapered axles for your cranks. Great looking product, but even greater functioning. JR Drift Trikes has designed a platform pedal that is light weight and ready to thread into your crank arms. Very clean and basic style to get the job done for an inexpensive price tag.